TSP Legal > News > Business Briefings > The contract, the whole contract, and nothing but the contract……..
Nick Mayles, Solicitor in Thompson Smith and Puxon’s Corporate and Commercial team, discusses the “entire agreement” clause. The “entire agreement” means the “entire agreement” – or does it? A recent High Court case [Djurberg -v- Small] provides further support for the principle that where one party enters into a contract on the basis of the other party’s fraudulent statement or misrepresentation, the innocent party may terminate that contract and claim damages, even if this is contrary to the express terms of the contract. Any attempt by the offending party to exclude liability for fraudulent statement or misrepresentation made by it, and which is crucial to the decision of, and relied upon by, the innocent party, can be deemed unreasonable and rendered unenforceable. The case concerned the sale of two houseboats and the purchasers’ mistaken belief, based upon the seller’s misrepresentations during negotiations between the parties, that the sale included residential moorings (without which the houseboats would have no value). 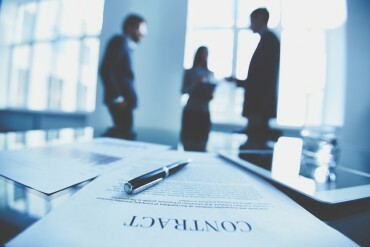 The contract for sale included an “entire agreement” clause which stated, in very clear language, that the terms of the written contract between the parties contained and constituted the whole and entire agreement between the parties, and that no warranty or representation was made or was to be implied by anything said or written during the negotiations. The Court held that the purchasers were, in light of the seller’s misrepresentations, entitled to terminate the contracts for the purchase of the houseboats, and claim damages. Whilst the Court’s judgment was specific to the facts of the case, it is clear (and understandable) that the Courts are increasingly reluctant to allow a party to exclude liability for fraudulent statement or misrepresentation where statements are made to, and relied upon by, an innocent party.